The term “Transhumance” comes from the Latin “trans” (beyond of ) and “humus” (earth) = seasonal transmigration animal husbandry, along the trails, from the Latin “tractoria” = the roads of the shepherds. Transhumance has a very ancient origin, probably linked to the history of the animal husbandry. Transhumance was ruled and disciplined from the Romans age by a codex of law and taxes to be paid in the different customs because it represented a great tribute income for the State. But is in the Norman age that all the production chain system was reorganized on laws linked on a side to the utilization of the public pastures (founding the basis of the huge State hold land heritage), and on the other to the inviolability of the shepherds rights, which was guaranteed in his own activity on a legal basis. In Central and Southern Italy the sheep transhumance went on two main direction. The first one, greater and longer, took place in the Two Sicily Kingdom, along different trails linking Abruzzi to Apulia regions. The most important was the famous “Tratturo Magno” a green trail more than 110 meters wide and 240 km long which had his greater development from the XI to the XIX century. 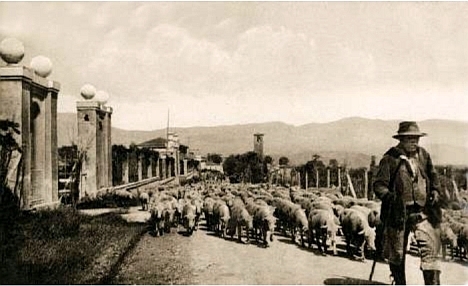 After the Normans, the Aragon Kingdom gave a greater impulse to transhumance with the Royal Custom of the Sheep Transhumance (Regia Dogana della Mena delle Pecore) and compelling to hold all the wool commerce in Foggia’s Fair. On 1600 the sheep in transhumance to Foggia were 5.5 millions. In the Italian Renaissance the wool market was a propeller of wealth comparable to the petrol industry for Arabian Countries today. 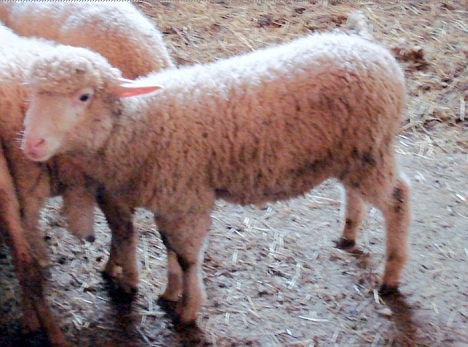 The local sheep breeds, as the Carfagna sheep, were crossed on 1435 with Merinos rams coming from Spain (but ultimately of Arab origin) in order to obtain a better wool for textile industry, in this way was born the Gentile di Puglia breed, the typical sheep of the vertical transhumance. The end of the great transhumance took place on the beginning of XIX century, with the abolition of Foggia’s custom, and on 1806, with the Napoleonic laws on the public State hold land's release “Affrancazione”, in order to enhance the little peasant property, with the development of the textile mechanization industry in Great Britain and in The Netherlands. However, the concurrence of the small but praised Central Italy textile industries went already in crisis with the disastrous earthquakes of the beginning of XVIII century. The second main route of sheep transhumance, of very ancient origin too, but shorter, was directed to the Roman plane and have a great outburst on 1477, when the pope Sixtus IV compelled all the shepherds of the Church Kingdom to bring their flock in winter in the Roman Country (even from the Marche region), with a course going along the ancient roman consular roads Flaminia and Salaria. The specific breed was the “Sopravvissana” sheep, a new sheep, originated on 1700 crossing local Vissana sheep with Merinos Rambouillet rams. The transhumance in Latium, developed instead exactly starting from 1800, when the Two Sicily Kingdom transhumance dead. There was a productive increase from the beginning of ‘800 (350,000 sheep) and the beginning of ‘900 (1,200,000 sheep). The typical farm until Italy Union was the “masseria” (they were 238 on 1830 with 8-10,000 sheep) owned by the country merchant, who rented the land from the great landlord and organized the structure (shepherd’s head, horsemen, shepherds, helps, etc) and the transhumance. This was done usually on specific provinces: from Umbria to Civitavecchia, from Marche to Palo and Maccarese, from Abruzzi to Roman country, from Ciociaria to Anzio and Terracina. 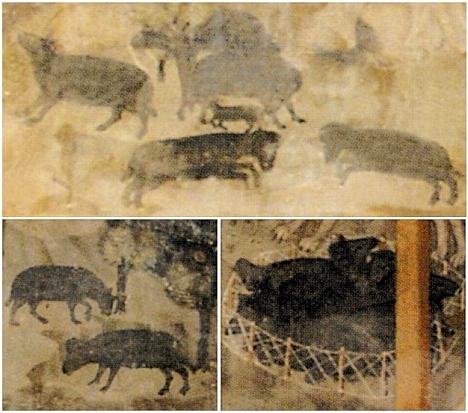 From ‘900 onward, the progressive disappearance of the small mountain owners, so-called “moscetti” (till to 500 sheep) which gave their sheep to the "Masseria", was inverted and a short renaissance of the small shepherd farms took place thanks to the roman market expansion and Amatrice shepherds took their flocks in winter in the “Campagna Romana” and on the coast to Maccarese, to Bufalotta, to Pantano…enriching with milk and meat the increasing market of the Capital of Italy, till the conditions of the pastures and of the roads allowed them to do so ….on 1950-60. Images in collaboration with the Cultural Association "Cola dell'Amatrice", Corso Umberto I, 101 - Amatrice.